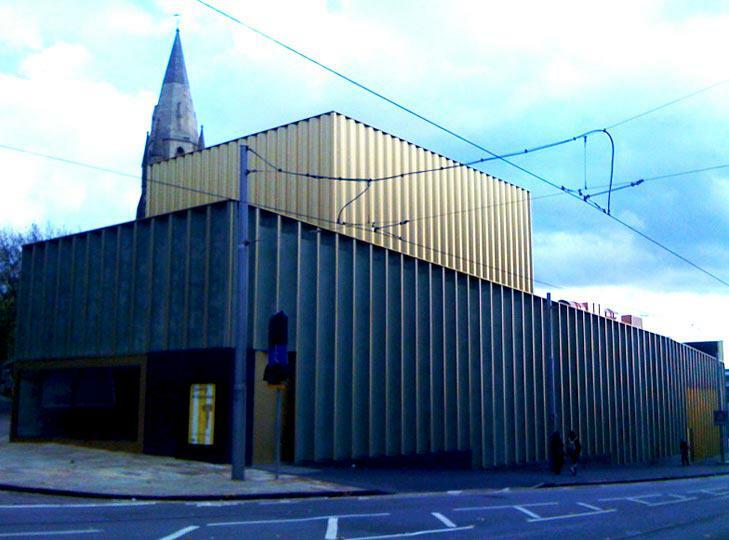 Nottingham Contemporary was designed by the award winning architects Caruso St John. 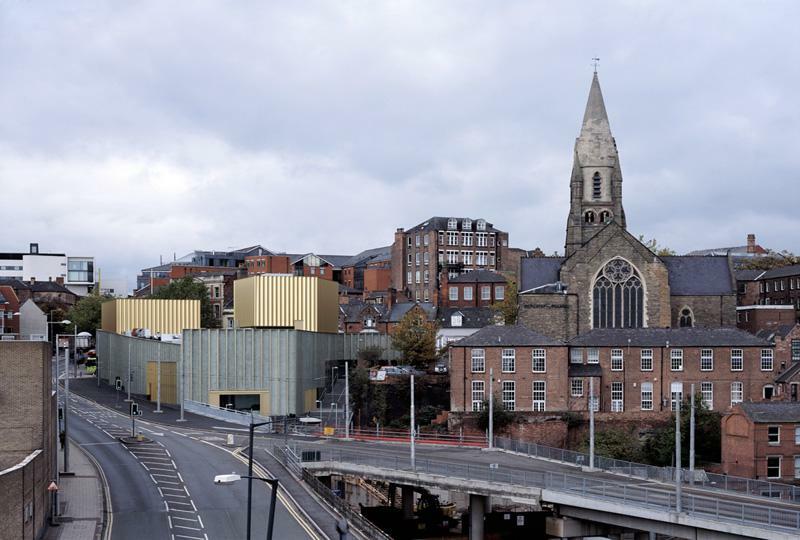 They were inspired by the surrounding Lace Market, specifically the bold, elegant design of the warehouses that serviced the city’s world famous trade in the 19th century. 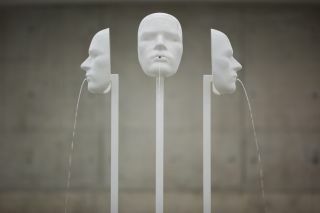 Former warehouses in other cities have proved flexible and creative spaces for artists’ activities, as in 60s New York or 90s Berlin. 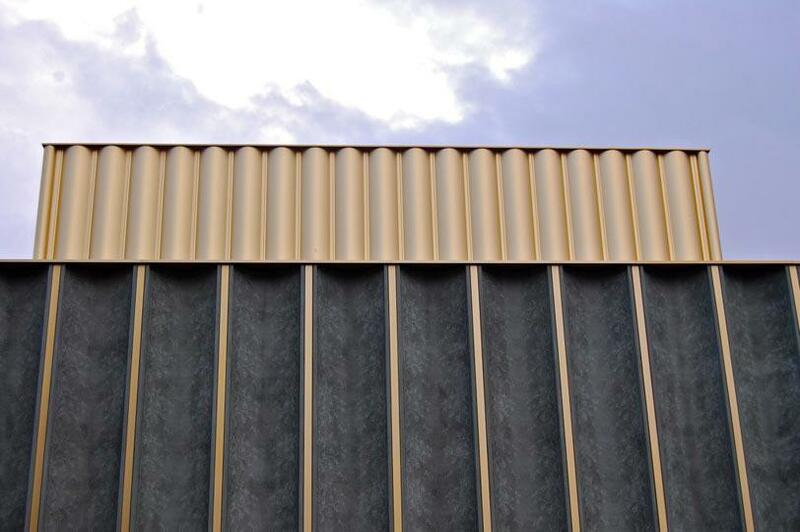 Its unusual form is the outcome of building right to the edge of the irregular site (as a consequence, there is just one perfectly rectangular room in the building). Our building has been constructed from scratch on what is said to be the oldest site in the city, home to a Saxon fort, a medieval Town Hall, and finally a late Victorian railway cutting. The steps at the side of the building have recreated a historic right of way. 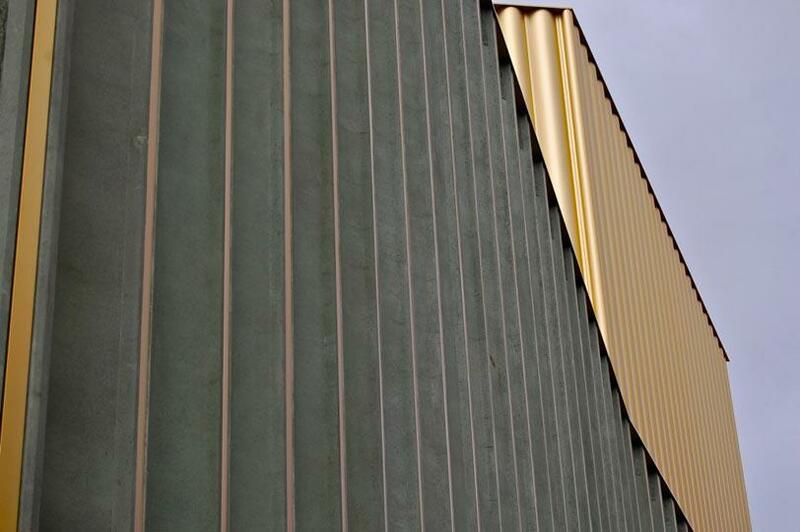 At 3,000 square metres, Nottingham Contemporary is one of the largest contemporary art centres in the UK. 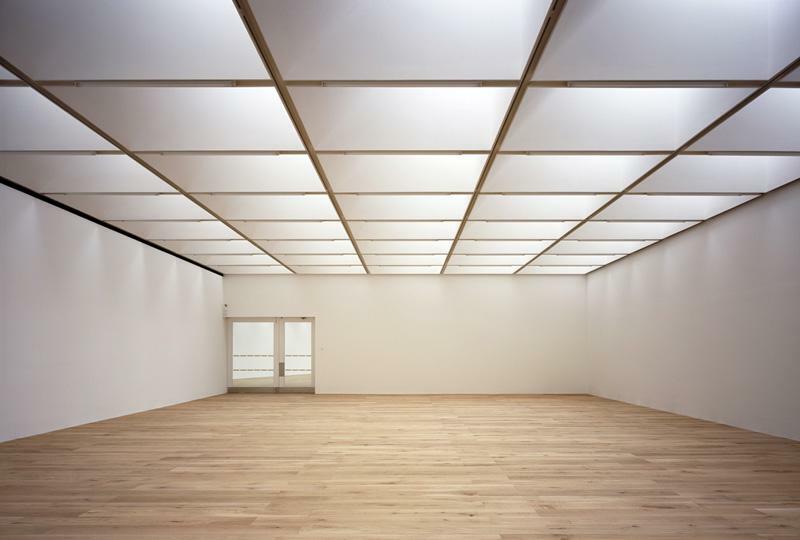 It has four galleries - lit by 132 skylights - a performance and film Space, a Learning room, The Study, The Shop and Café.Bar.Contemporary. 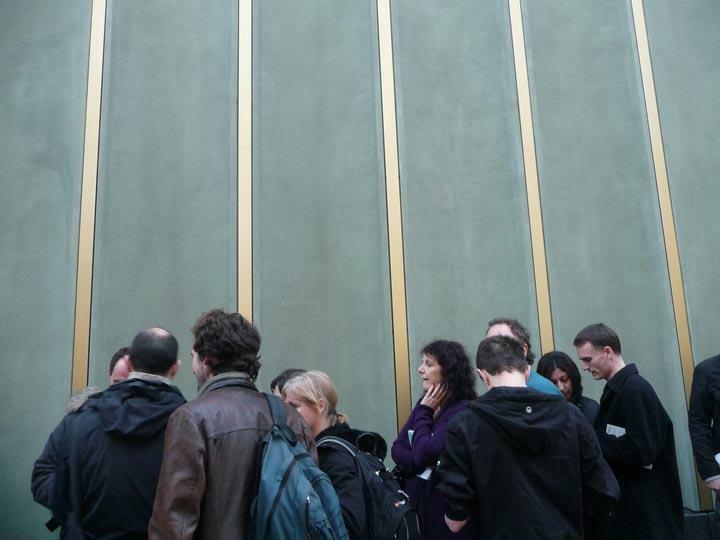 The building appears larger on the inside than outside, since much of its north end is sunk into the sandstone cliff that runs the length of the city centre. At the same time the building is unusually transparent: large windows offer direct views from the street into the galleries, shop, café and offices. 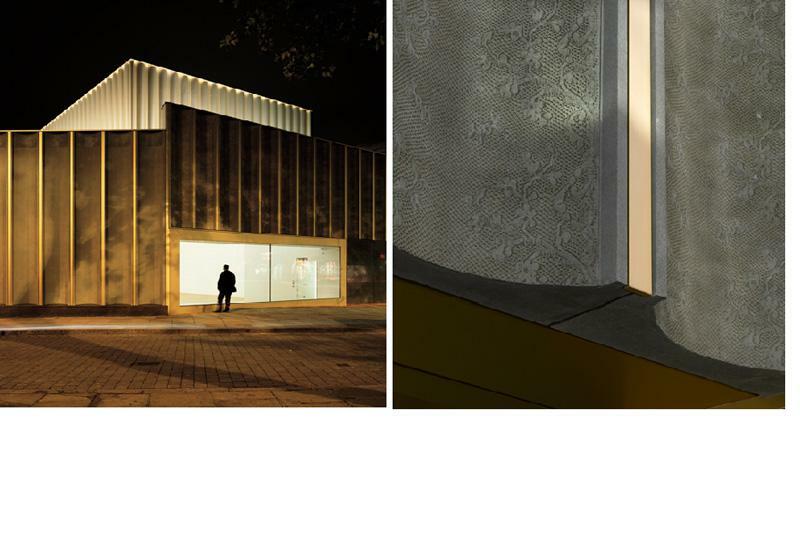 The building is clad with panels embossed with a giant lace pattern, some up to 11 metres high. 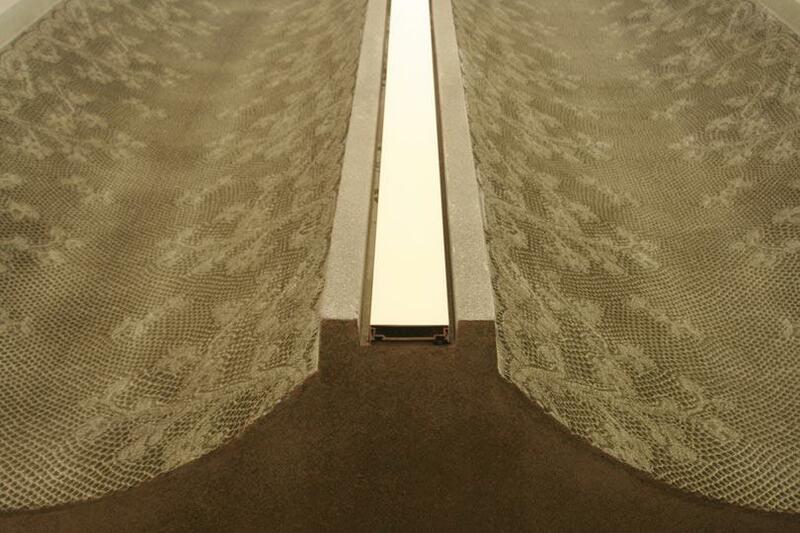 Nottingham Contemporary’s lace depicts cherry blossom. The design was in a book of lace samples, placed in a time capsule by an unknown Victorian in 1847, and buried underneath the Nottingham Corporation Water Works where the main Marks & Spencers now stands. 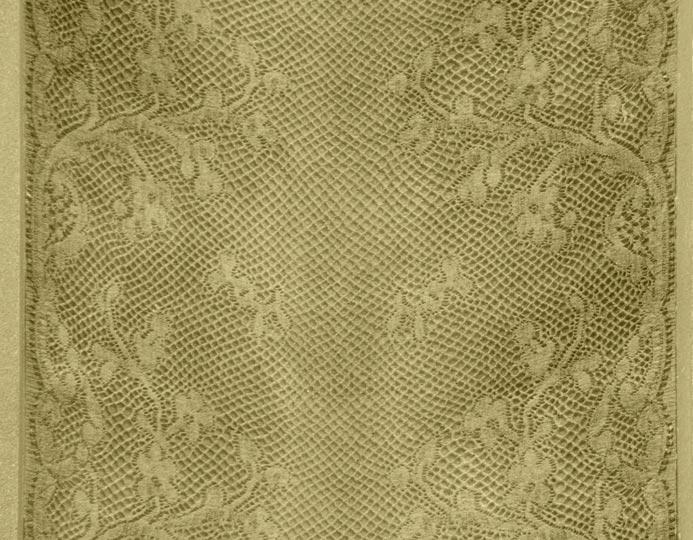 The lace came from the factory of Richard Birkin, one of the largest and most innovative lace producers. Birkin himself was three times Lord Mayor of Nottingham. Our lace was labelled ‘Specimens of Machine Finished Laces made by Rd Birkin, Basford 1847’.Richard Birkin started his company in Nottingham in 1827 and it grew to be one of the largest and most innovative in the country - it only stopped making lace in 2004. Birkin’s initials can still be seen over the entrances to the family’s former lace warehouses on Broadway in the Lace Market. Richard Birkin was three times Lord Mayor of Nottingham. 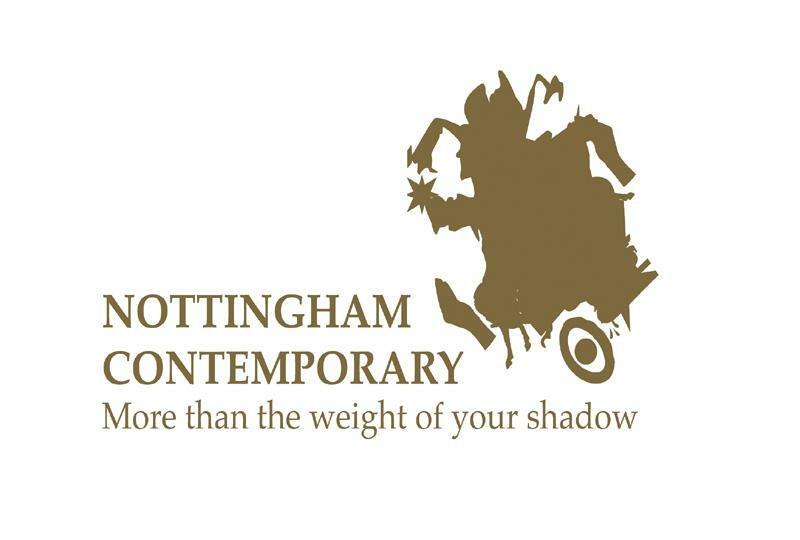 Nottingham Contemporary is on the oldest site in Nottingham. It once housed cave dwellings, a Saxon fort, and a medieval town hall - before the Victorians swept all aside for a railway line. It is in the historic Lace Market, a showcase for a world famous fabric when technical innovation gave lace a mass market. 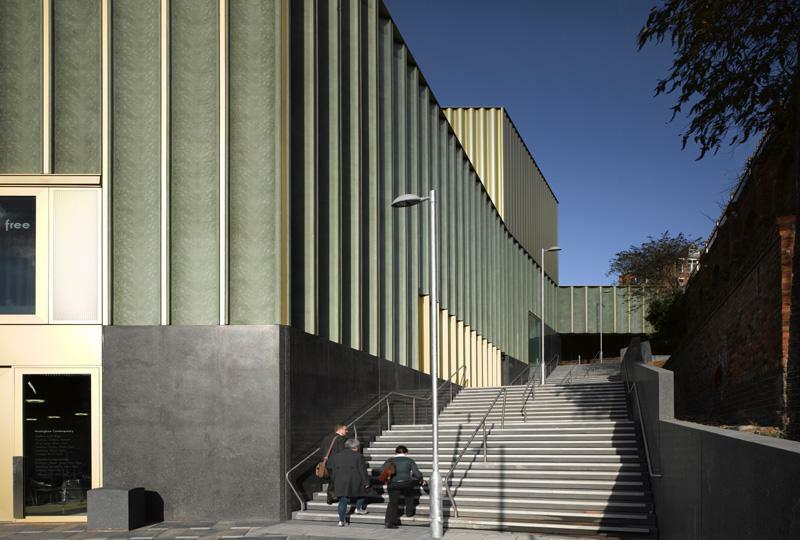 A revolutionary concrete casting technique, carried out in Nottingham, has embossed a lace design into the building’s panels, some up to 11 metres high. 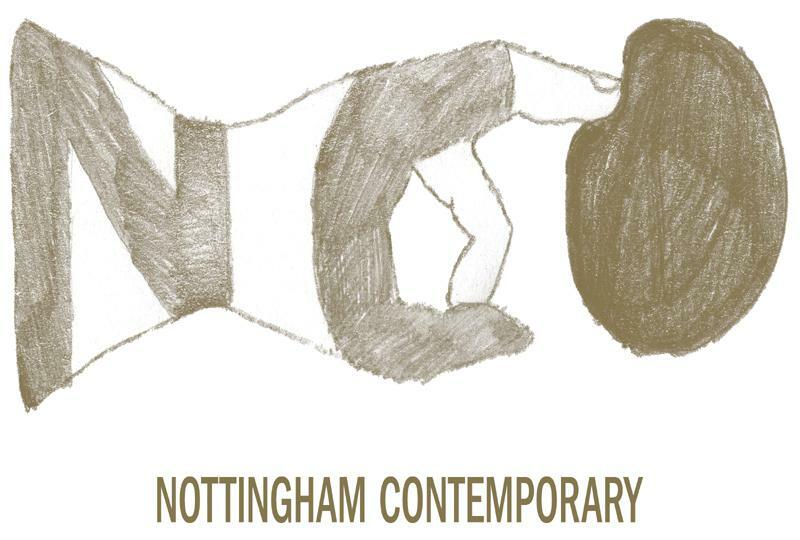 Nottingham Contemporary took three years to build, but its conception dates back to the early 90s, when a new building for contemporary art was originally proposed by Nottingham Trent University. 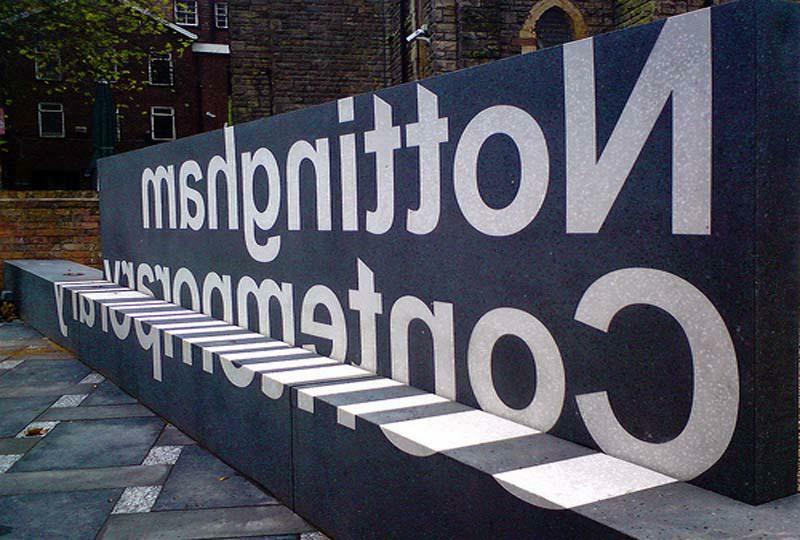 Nottingham City Council, the building’s developers, took the idea forward, with the support of Arts Council England East Midlands. A Board was appointed in 2006 led by its current Chair Gary Smerdon-White. 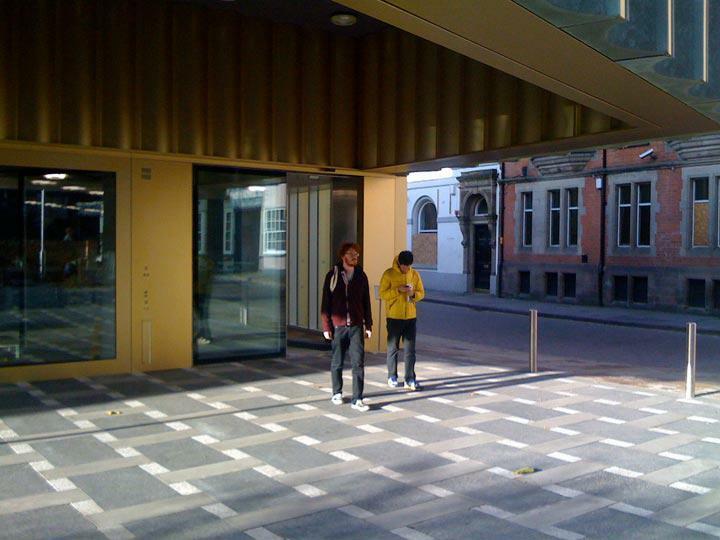 Funding for the building came from Arts Council England, Nottingham City Council, emda, the European Regional Development Fund, Greater Nottingham Partnership and a significant private donation. 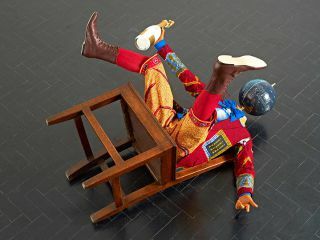 Alex Farquharson, Nottingham Contemporary’s first Director, was appointed in December 2006, moving to Nottingham in April 2007.